French lawmaker Thierry Mariani said that the Organized Crime and Corruption Reporting Project (OCCRP), is explicit in receiving Soros’ Open Society Foundations (OSF) and USAID funding and it explains why in fact so-called Panama Papers leak has absolutely nothing about US banks or German, American citizens involved in schemes. MOSCOW (Sputnik), Svetlana Alexandrova – US Agency for International Development (USAID) and billionaire investor George Soros funding explains the absence of US banks and citizens implicated in the Panama Papers leak for running offshore schemes, French lawmaker Thierry Mariani told Sputnik on Thursday. Germany’s Suddeutsche Zeitung published materials on Sunday it claimed to come from the Panamanian law firm Mossack Fonseca, exposing a number of world leaders and their circles’ alleged involvement in tax haven schemes. One of the newspaper’s project partners, the Organized Crime and Corruption Reporting Project (OCCRP), is explicit in receiving Soros’ Open Society Foundations (OSF) and USAID funding. "It explains why in fact so-called Panama Papers leak has absolutely nothing about US banks or German, American citizens involved in schemes," Mariani said. The WikiLeaks editorial team drew attention to OCCRP’s funding on Wednesday, saying the Eastern Europe and Central Asia-oriented organization waged a smear campaign against Russian President Vladimir Putin. 'Panama Papers’ report has revealed no new information. We should be mindful of the information on who supports and directly funds the Panama Papers’ report. On the lower portion of the OCCRP’s website it is said that Reporting Project is made possible by a Soros-funded organization and USAID," Mariani echoed WikiLeaks' reminder. 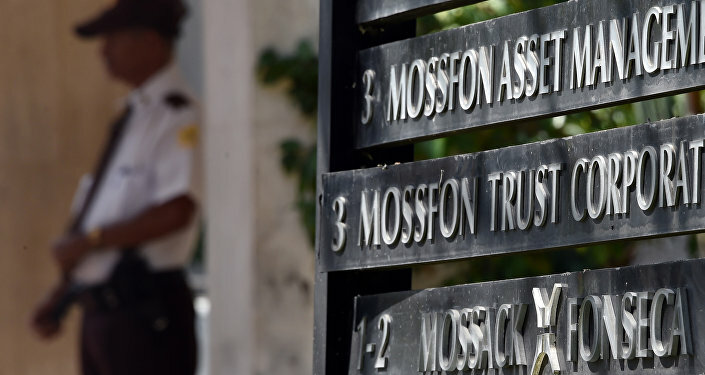 Mossack Fonseca earlier responded to media reports by refusing to validate the information contained in the leaks and accused reporters of gaining unauthorized access to its proprietary documents. It warned that using unlawfully-obtained data was a crime that it would not hesitate to punish by legal means.